The Oregon Storytellers project is conceived, written, filmed and photographed by storytelling director and dramatic portrait photographer Andy Batt in his studio in Portland Oregon. 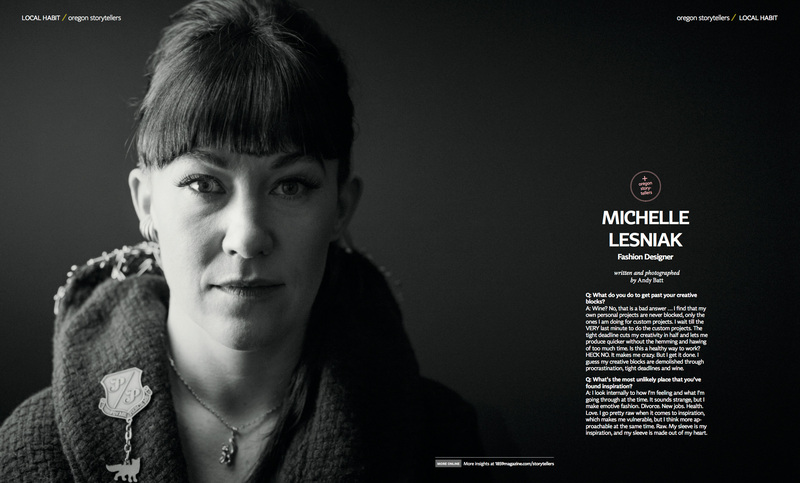 Native Portlandian and thrift store junkie, Michelle Lesniak hasn’t followed the traditional path down fashion lane. Determined to jumpstart her career in fashion, Michelle tried out for Project Runway, landing a spot on Season 11. Her lack of formal training gave her an edge; there were no rules to follow. As a self-proclaimed, professional rule breaker, Michelle won the season and the ability to design full-time, a luxury many designers never achieve.